“Keywords” is searched 40,500 times per month and has low competition. 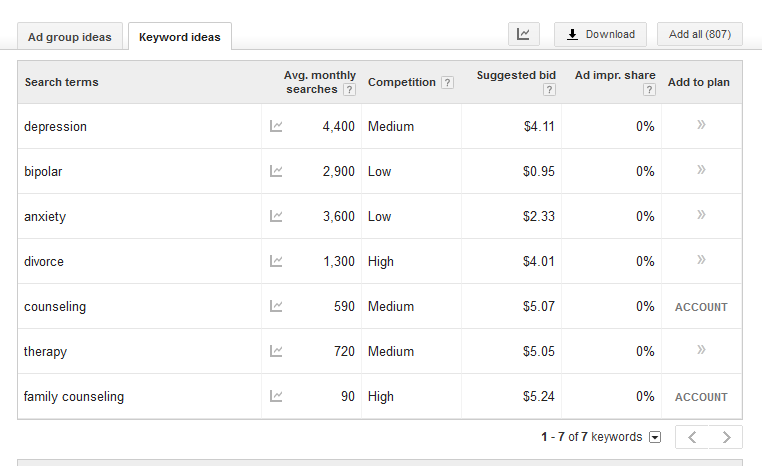 “How to find keywords” is searched only 480 times per month but has medium competition. “Keyword tool” is searched 201,000 times per month with low competition. Although it is highly unlikely that I will get to the front page of Google for this term, as my website grows it very well may. As you’ll see in a few moments, mastering keywords can help you rank higher and get more traffic on your website. If you get more traffic, you’ll almost always get more referrals. If you’re tracking your traffic (which is essential) you should know how many views you’re getting per month. How do people get to your counseling office? When people come to your office for their intake, you should be asking “How did you hear about us?” If they say, “Your website,” a natural follow-up question is, “Did someone refer you to my website or did you search for it?” Here’s a link to my counseling paperwork. What’s your conversion rate from your website? If you know that 2 intakes per month found you through an organic search and you have 200 people visiting your site per month, that means that your conversion rate is 1%. If you eventually have 500 people visiting your site and your conversation rate stays at 1%, then you’d have 5 intakes per month. Then you’d want to optimize your site for conversations and writing highly shareable posts, but those are already discussed in other articles. Below you will find screenshots, they are not clickable, just images of my screen to walk you through how to use a keyword planner. 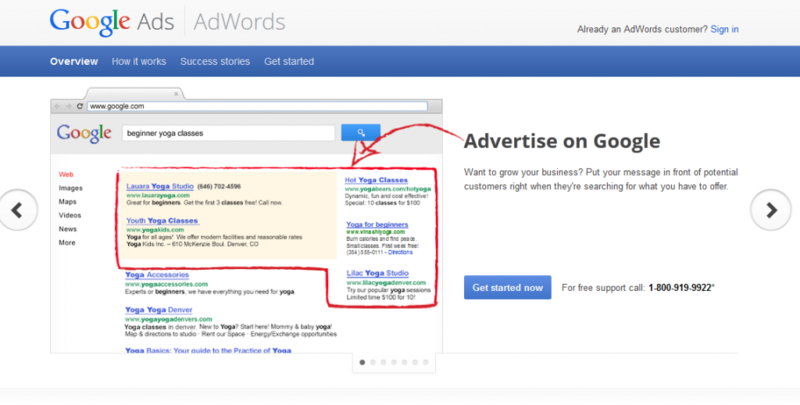 Go to www.adwords.com if you don’t have a Google account, you’ll need to set one up. 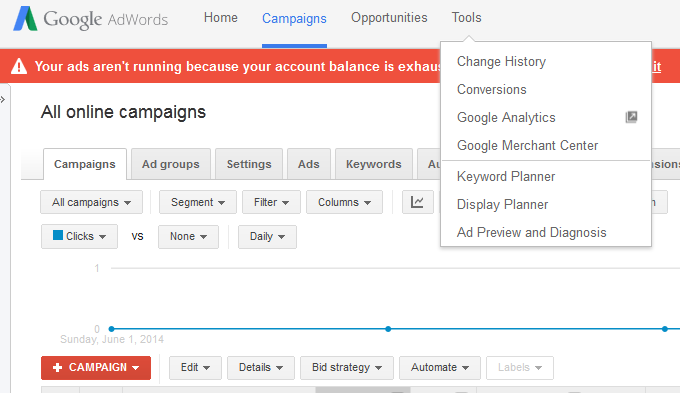 Since Adwords is aimed at helping you create ads, they will want your credit card information, but you will only be billed if you run an ad campaign. Otherwise, the tool is completely free. Also, they have free support to walk you through it if you call: 1-800-919-9922. 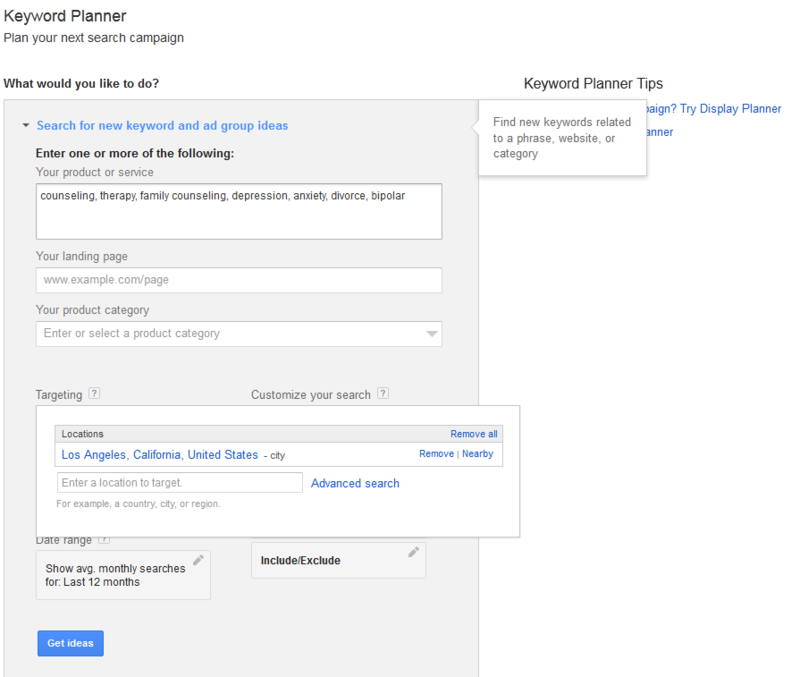 Next you’ll want to click on Tools > Keyword Planner. This will open the planner. In the top section, type in all the keywords that people my search for. Think in terms of what people search. 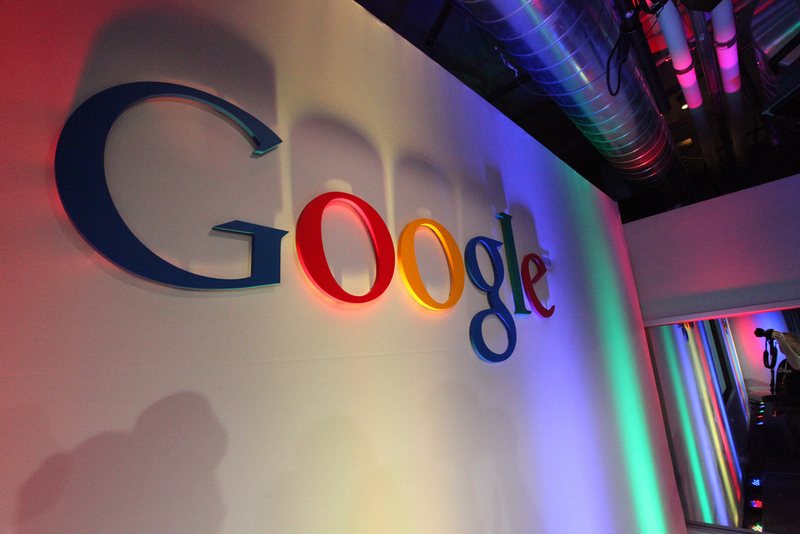 As you’ll see in a moment, Google will also give you other things that are ranking high. Under “targeting” put in the location where you do business. You can also search for terms that are low in competition, have more than a certain number of searches or fewer than a certain number of keyword searchers. For this example I used keywords in Los Angeles, because in tracking my Google Analytics, I have found that I have a growing number of counselors in the southern California area. It’s my little way of help you Californiaites to grow a bit. This is the area that offers the most benefit. Look at these keywords! It’s tempting to go for the big guns. 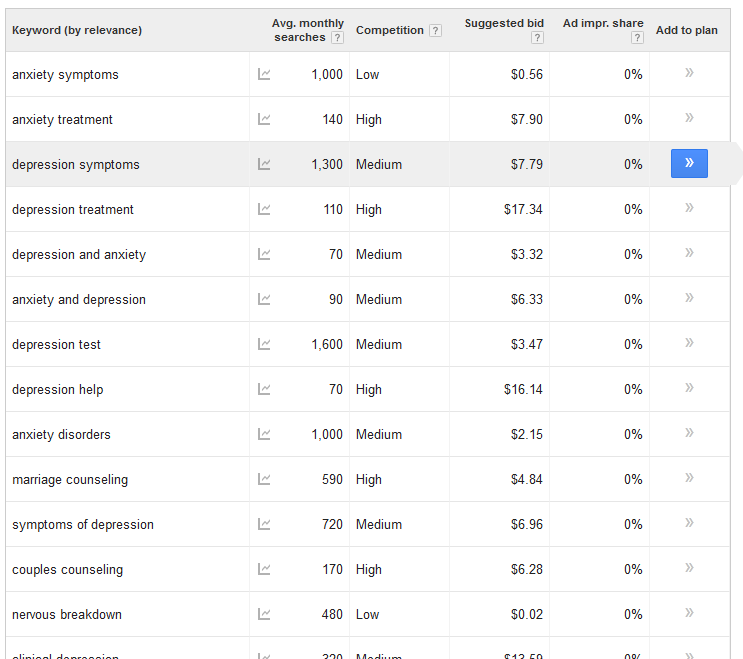 “depression” is searched as a keyword 4,400 times per month. By looking at Google’s “suggested bid” it will show you how hard it will be to rank. Also, it is “medium” in competition. In general, it’s better to rank higher for something very specific, than it is to be in a highly competitive market. In a few steps I’ll show you how to evaluate what others are doing. Let’s look at what Google suggests as other keywords. Based on what Google has told me, I would focus on “anxiety symptoms” with the term “Los Angeles” peppered in there too. This is because it is searched 1,000 times per month as a keyword, it has really low competition, and wait until you see how little others are writing about this exact phrase! In fact, imagine you did run a Google Ad on the side for people in Los Angeles that were searching “anxiety symptoms.” You’d be paying $.50-$1 per click. Since we established that your conversion rate is 1%, that would mean that 1/100 clicks would lead to a new client. So you would pay $50-$100 per client. If you know that your average client comes 7 times and pays $150 that means the client is worth $1,050. If you’re paying $50-$100 in Google Ads for a highly motivated client that knows that you specialize in “anxiety symptoms” think how fast you could grow! On top of that, what if your conversation rate jumped to 2% or 5%, you’d spend less and make more! 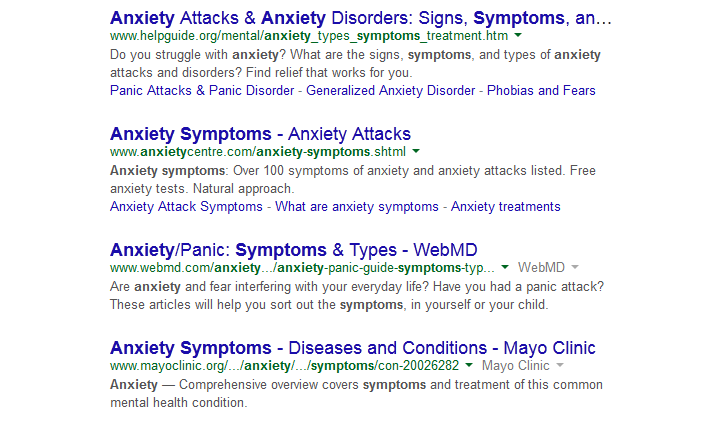 When you look at who is in the top 4 for the term “anxiety symptoms” they are larger websites, but don’t use the term in their title, meta description, or URL. This is true with all except the Anxiety Centre website. So, what should you do? If you haven’t set up a WordPress website yet, you’re missing tons of traffic. Here’s a walk-through on how to set a counseling website. 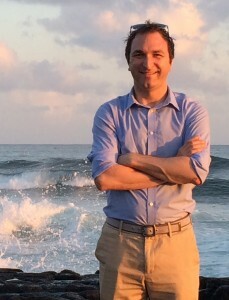 Joe Sanok is a private practice business consultant and counselor that helps small businesses and counselors in private practice to increase revenue and have more fun! He helps owners with website design, vision, growth, and using their time to create income through being a private practice consultant. Joe was frustrated with his lack of business and marketing skills when he left graduate school. He loved helping people through counseling, but felt that often people couldn’t find him. 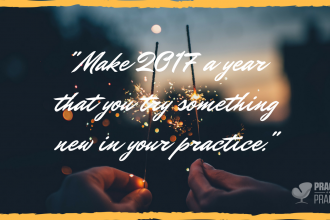 Over the past few years he has grown his skills, income, and ability to lead others, while still maintaining an active private practice in Traverse City, MI. To link to Joe’s Google+ .